The actin-myosin system, responsible for muscle contraction, is also the force-generating element in dynamic nanodevices operating with surface-immobilized motor proteins. These devices require materials that are amenable to micro- and nano-fabrication, but also preserve the bioactivity of molecular motors. The complexity of the protein-surface systems is greatly amplified by those of the polymer-fluid interface; and of the structure and function of molecular motors, making the study of these interactions critical to the success of molecular motor-based nanodevices. We measured the density of the adsorbed motor protein (heavy meromyosin, HMM) using quartz crystal microbalance; and motor bioactivity with ATPase assay, on a set of model surfaces, i.e., nitrocellulose, polystyrene, poly(methyl methacrylate), and poly(butyl methacrylate), poly(tert-butyl methacrylate). A higher hydrophobicity of the adsorbing material translates in a higher total number of HMM molecules per unit area, but also in a lower uptake of water, and a lower ratio of active per total HMM molecules per unit area. We also measured the motility characteristics of actin filaments on the model surfaces, i.e., velocity, smoothness and deflection of movement, determined via in vitro motility assays. The filament velocities were found to be controlled by the relative number of active HMM per total motors, rather than their absolute surface density. The study allowed the formulation of the general engineering principles for the selection of polymeric materials for the manufacturing of dynamic nanodevices using protein molecular motors. Micro-patterned surfaces with alternate hydrophilic and hydrophobic rectangular areas effectively confine water droplets down to attolitre volumes. The contact angle, volume, and geometry of the confined droplets as a function of the geometry and physico-chemical properties of the confining surfaces have been determined by phenomenological simulations, validated by atomic force microscopy measurements. The combination between experiments and simulations can be used for the purposeful design of arrays with surface-addressable hydrophobicity employed in digital microfluidics and high-throughput screening nanoarrays. Micro-contact printing, μCP, is a well-established soft-lithography technique for printing biomolecules. μCP uses stamps made of Poly(dimethylsiloxane), PDMS, made by replicating a microstructured silicon master fabricated by semiconductor manufacturing processes. One of the problems of the μCP is the difficult control of the printing process, which, because of the high compressibility of PDMS, is very sensitive to minute changes in the applied pressure. This over-sensitive response leads to frequent and/or uncontrollable collapse of the stamps with high aspect ratios, thus decreasing the printing accuracy and reproducibility. Here we present a straightforward methodology of designing and fabricating PDMS structures with an architecture which uses the collapse of the stamp to reduce, rather than enlarge the variability of the printing. The PDMS stamp, organized as an array of pyramidal micro-posts, whose ceiling collapses when pressed on a flat surface, replicates the structure of the silicon master fabricated by anisotropic wet etching. 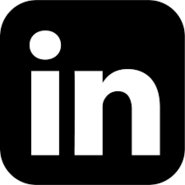 Upon application of pressure, depending on the size of, and the pitch between, the PDMS pyramids, an air gap is formed surrounding either the entire array, or individual posts. The printing technology, which also exhibits a remarkably low background noise for fluorescence detection, may find applications when the clear demarcation of the shapes of protein patterns and the distance between them are critical, such as microarrays and studies of cell patterning. 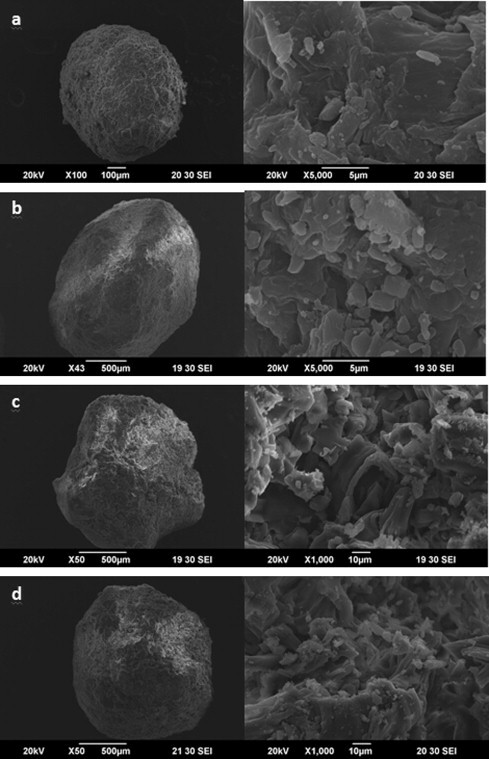 This work focuses on the content non-homogeneity in granules across size classes in a high shear wet granulation process as a result of powder segregation during dry mixing coupled with preferential wettability of one of the ingredients with the binder fluid. A two component API-excipient system comprised of acetaminophen (APAP) and microcrystalline cellulose PH-101 (MCC) is investigated in a high shear granulation environment for content uniformity of the granules with respect to APAP. It was found that the fine granules were super potent while the coarse granules were starved of the APAP. This was attributed to a dual cause of powder segregation during dry mixing and superior wettability of the MCC compared to APAP. Post the dry mixing stage, the top layer of the powder bed is found to be sub-potent due to percolation of the smaller APAP particles to the bottom of the bed as they find spaces between the larger MCC particles. Thus, a drop of the binder fluid which falls on the bed is likely to be surrounded by MCC particles, which give them a higher chance of being incorporated in the nucleus. Moreover, MCC being the superior wetting of the two ingredients, also preferentially attaches itself to the growing granules. The granules are thus starved of the APAP leading to disparity in content across size classes. Lastly, the effect of content non-uniformity was categorically quantified on the rate of active release. It was observed that content non-uniformity results in a lack of predictability and consequently control, on the rate of release of the active ingredient from the granules. This work highlights the need for qualitative understanding and quantitative analysis of factors that contribute to the occurrence of granule content non-uniformity, if one is to enable inherently robust pharmaceutical product design. The ability to undergo a transition between dispersed or single-cellular state and aggregated or multi-cellular state provides distinct evolutionary advantages to many natural organisms. 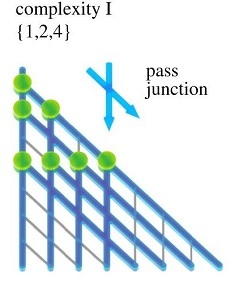 Due to a change of hydrodynamic diameter over several orders of magnitude and associated change of fluid–particle interaction (settling velocity) or intra-particle transport phenomena (heat transfer and/or diffusion) that typically scales with the square of the particle size, radically different behaviour can be achieved in terms of transport in a fluid environment, sourcing nutrition, escaping predators or maintaining homeostasis. In this work we report on the implementation of an artificial system that is able to undergo a reversible transition between dispersed and aggregated state, using the principles of “remote control” by radiofrequency (RF) signals. The individual artificial cells are represented by hollow-core SiO2/Fe3O4/PNIPAM microparticles with a stimuli-responsive porous shell that possess the following functionalities: (i) RF-induced local particle heating, due to the presence of superparamegnetic nanoparticles in the structure; (ii) temperature switchable storage/release functionality due to a combination of hollow-core porous silica skeleton with a PNIPAM layer; and (iii) temperature switchable aggregation, due to the hydrophilic/hydrophobic transition of the PNIPAM layer. The combination of RF-switchable aggregation and temperature-responsive release kinetics of a lipophilic substance makes it possible to trigger particle aggregation and deposition remotely, and thus control the release kinetics of encapsulated payload in both time and space. The objective of the current work was to investigate the effect of liquid to solid ratio (L/S), impeller speed and the wet massing time on the critical quality attributes of granules in a high shear wet granulation process for a two component (API and excipient) system. The parameters were evaluated for their effect on granule properties using a design of experiment based approach. Granules were characterized for their particle size distribution, content uniformity, morphology and porosity. The liquid to solid (L/S) ratio was found to have a dominant effect on the median particle size and exhibited a clear trend. The system was found to be extremely well mixed for all conditions thus implying robust composition uniformity within and between batches, independent of process parameters. The release kinetics of granules within the batch were found to be identical, independent of particle size. The granules were found to be fairly spherical as observed through a scanning electron microscope with no distinct agglomeration. The images indicate granulation by layering and consolidation. All three process parameters were found to have an effect on granule porosity, with the wet massing time having the most pronounced effect. A judicious selection of the afore mentioned process parameters will enable a balance between granule growth and porosity to be achieved without compromising on the mixing efficiency of the process thereby allowing one to build quality into the final product. 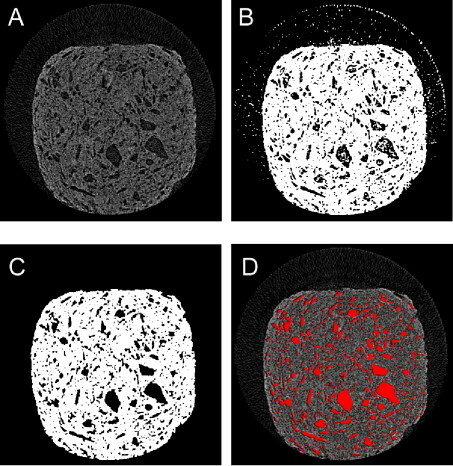 The X-ray micro-tomography (micro-CT) technique has been used to visualize the microstructure of granules produced by high shear wet granulation and the dynamic evolution of porosity during granule dissolution. Using acetaminophen (paracetamol) as the active pharmaceutical ingredient (API) and microcrystalline cellulose (Avicel PH-200) as an excipient, the porosity of the granules was systematically influenced by the granulation process parameters (binder/solids ratio, impeller speed and wet massing time). An increase of granule porosity from 7% to 10% and 18% lead to a decrease of the dissolution time t90 from 435 min to 98 min and 37 min, respectively. The combination of time-resolved micro-CT imaging with UV/vis detection of the quantity dissolved made it possible to evaluate the effective diffusion coefficient of the API through the granule structure, and thus establish a quantitative structure–property relationship for dissolution. A power-law dependence of the effective diffusivity on porosity (Archie’s law) was found to hold. The effect of processing method on the properties of cross-linked chitosan microparticles and on the enzymatic activity of laccase immobilized in the particles has been investigated. Chitosan has been cross-linked by tri-polyphosphate (TPP) using two methods – the so called ex situ cross-linking whereby the solutions of chitosan, TPP and the enzyme have been pre-mixed and spray-dried by a standard two-fluid kinetic nozzle, and a novel in situ cross-linking method, whereby the solutions have been contacted at the tip of a three-fluid nozzle and cross-linking occurred within a drying droplet. The influence of the cross-linking method on the particle size and morphology, surface charge, and swelling ratio has been determined. The enzymatic activity of laccase toward the oxidation of a chromophore substrate (ABTS) has been systematically investigated and found to be superior in particles produced by the in situ cross-linking method. The design of chitosan microspheres for the encapsulation and release of nanoparticles has been considered. The composite microcarriers have been produced by spray drying and the effect of factors including the chitosan cross-linking ratio (using tri-polyphosphate as the cross-linking agent), nanoparticle loading in the polymer matrix and the internal structure of the microspheres (uniform dispersion of nanoparticles vs. core-shell structure) on the in vitro release kinetics have been systematically investigated. 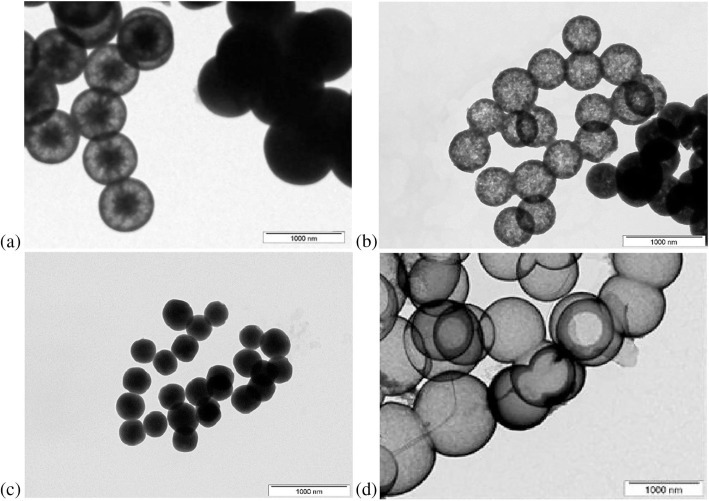 The antibacterial performance of the composite microspheres containing Ag nanoparticles has been evaluated against three different strains of bacteria in a suspension culture. The bioadhesive character of the chitosan carrier particles has lead to the formation of stable aggregates with the bacteria, which enhanced the antibacterial efficacy of the released nanoparticles through the contact mechanism. A thermoresponsive poly(N-isopropylacrylamide) (PNIPAM) hydrogel crosslinked withmethylene bisacrylamide (MBA), with the ability to undergo a volume change of approximately 50%, was used to fabricate a hydrogel “sponge” with oil microdrops encapsulated within its structure by the polymerization of an O/W emulsion. By adding 1.5 wt.% of iron oxide nanoparticles to the hydrogel structure it is possible to trigger the hydrogel volume change remotely by exposing the composite to an alternating magnetic field in the radiofrequency range, which heats up the nanoparticles. The increase of the hydrogel temperature leads to its shrinking and subsequently the encapsulated oil droplets are squeezed out. It was shown that the oil is released gradually during cyclic volume change (repeated heating and cooling) and the amount of oil content released during the first 8–15 shrinking cycles was in the range 1–3% v/v per cycle. The total amount of the released oil phase was in the range 18–24% v/v and it was found to be affected by the size of the encapsulated microdroplets, with the larger ones being squeezed out preferentially. 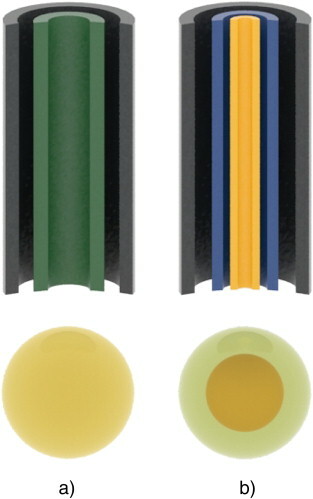 The present work describes the synthesis and characterisation of thermo-responsive microcapsules consisting of poly-N-isopropylacrylamide (PNIPAM) hydrogel, hydrophilic citrate-stabilized super-paramagnetic iron oxide nanoparticles (SPIONs) that perform the function of a local heat source and hydrophobic nanoparticles (either SiO2 or oleic acid-coated SPIONs) that stabilize the microcapsule surface. The microcapsules have been synthesized by the inverse Pickering emulsion polymerisation method. The effect of iron oxide concentration in the hydrogel on the shape, size, shrinkage ratio and heating rate of the microcapsules has been systematically investigated. 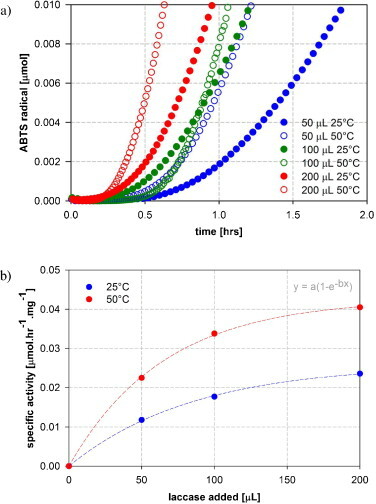 The adhesion properties of the composite microcapsules towards a range of substrates have been characterised in a microfluidic flow cell and it was found that the temperature-induced change of the microcapsule size is an effective way of controlling adhesion. The induction heating of the embedded SPIONs makes it possible to control adhesion remotely in environments where macroscopic heating is not possible. 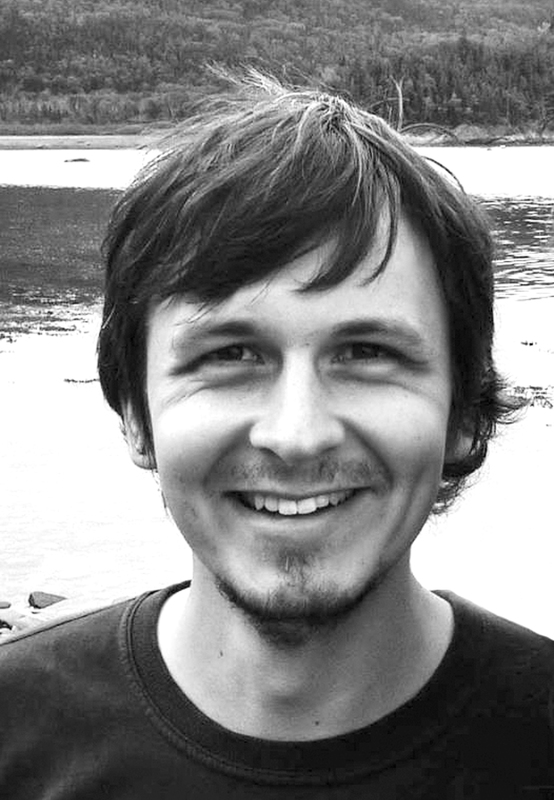 On-chip network-based computation, using biological agents, is a new hardware-embedded approach which attempts to find solutions to combinatorial problems, in principle, in a shorter time than the fast, but sequential electronic computers. This analytical review starts by describing the underlying mathematical principles, presents several types of combinatorial (including NP-complete) problems and shows current implementations of proof of principle developments. Taking the subset sum problem as example for in-depth analysis, the review presents various options of computing agents, and compares several possible operation ‘run modes’ of network-based computer systems. Given the brute force approach of network-based systems for solving a problem of input size C, 2C solutions must be visited. As this exponentially increasing workload needs to be distributed in space, time, and per computing agent, this review identifies the scaling-related key technological challenges in terms of chip fabrication, readout reliability and energy efficiency. The estimated computing time of massively parallel or combinatorially operating biological agents is then compared to that of electronic computers. Among future developments which could considerably improve network-based computing, labelling agents ‘on the fly’ and the readout of their travel history at network exits could offer promising avenues for finding hardware-embedded solutions to combinatorial problems. Silica particles with a unique multi-level pore structure have been prepared in order to enable efficient melt-in amorphisation of pharmaceutical substances. The dissolution rate of drugs with a low aqueous solubility can be enhanced by their conversion from a crystalline to an amorphous form. In order to avoid spontaneous re-crystallisation over time, the amorphous form must be stabilised, in this case by melt-in sorption into a porous carrier. To stabilise the amorphous state, pore diameters not exceeding approximately ten times the equivalent molecular diameter are required. However, since the permeability of porous media scales with the square of the mean pore diameter, carrier particles with pores in the nanometer range suffer from slow melt-in rates. Therefore, silica particles with a novel multi-level porous structure have been proposed in this work. The particles combine a central hollow cavity, a network of conducting macro-pores for enhanced transport rate, and a mesoporous matrix for efficient stabilisation of the amorphous state. The particles were prepared by the hydrolysis of TEOS using a soft-templating method with octylamine. We show that by systematically modulating the hydrolysis rate by the presence of ethanol (a reaction by-product), particles with the desired pore structure, particle size and morphology can be formed. Furthermore, we demonstrate their superior transport properties during melt sorption, high drug loading capacity and the ability to stabilise the amorphous state of a drug. Despite the wide application interest in mesoporous silica micro- and nano-particles and a number of synthesis routes reported in the literature, the question of chemical engineering scale-up of the synthetic routes has rarely been addressed. 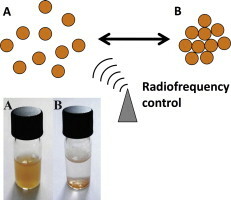 The present work reports the results of an experimental and computational study of batch scale-up by a factor of 40× in the specific case of two types of dense and hollow mesoporous silica microparticles produced by the hydrolysis of tetraethoxysilane (TEOS) using a CTAB surfactant template. Volume and concentration based scale-up approaches have been investigated and systematically compared using a similarity index that included parameters related to the particle size distribution (d10, d50, d90) and pore structure (mean pore diameter, specific surface area, total pore volume, sorption hysteresis loop). The particle size distribution was found to be dependent mainly on the hydrodynamic conditions, expressed by the homogenization time, while the pore structure and the overall yield of the process were found to depend mainly on the CTAB/TEOS ratio. Overall, successful scale-up criteria in both volume and concentration based approaches have been identified. Chitosan microparticles cross-linked by tri-polyphosphate (TPP) anions have been prepared by spray drying. Two different cross-linking methods have been employed — ex-situ cross-linking whereby aqueous solution of cross-linked chitosan nanoparticles has been spray-dried by a two-fluid nozzle, and a novel in-situ cross-linking method, whereby solutions of chitosan and TPP have been fed to a three-fluid nozzle and cross-linking occurred within individual droplets. The size and morphology of the resulting microparticles have been characterised and their dependence on the cross-linking ratio and the initial chitosan concentration determined. 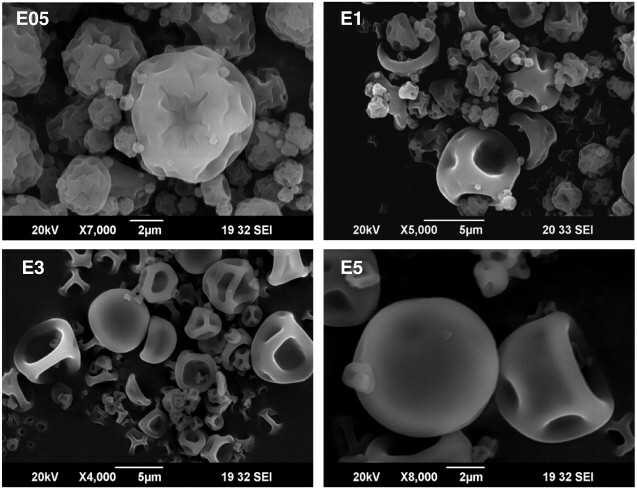 Particles produced by the three-fluid nozzle were found to have favourable properties in terms of stability in aqueous media and they allow the use of higher chitosan concentrations, which makes them suitable for microencapsulation applications. My name is Sara Selenica, I am 23 years old from Tirana, Albania. I began my studies at UCT two years ago and this is my last year of studies. My name is Andrea Rukavina and I am currently finishing the 1st year of the master degree in Biotechnology at University of Ljubljana, Slovenia. In 2015 I was accepted for Erasmus+ student exchange at University of Chemistry and Technology in Prague. Due to beautiful experiences and gained knowledge, I decided to come back for an internship and join the Laboratory of Biomimetic Engineering where I can put my knowledge into practice. Moreover, there are several projects ongoing and I chose the one that suits my research interests – encapsulation of enzymes and the evaluation of antimicrobial activity of naturally sourced compounds. I am looking forward to progressing and further work with the team. My name is Catarina Mendes, I’m a 22 years old Portuguese student, member of the Board of European Students of Technology (Lisbon’s Local Group). Currently, I’m in the first semester of the master degree in Chemical Engineering at UCT Prague, as an Erasmus student. My name is Maria Terrucha. I’m a Portuguese student from IST Lisbon in my first year of a master degree in Chemical Engineering. Currently, I’m at UCT Prague doing Erasmus+ Exchange Project. 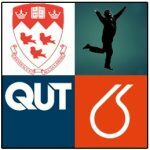 My experimental background includes different approaches, gained through several years where I had the opportunity to do Laboratories of Chemistry, Organic Chemistry, Chemistry-Physics, Biochemistry and Molecular Biology, Chemical Analysis, Processes of Chemical and Biological Engineering, Sciences of Chemical Engineering, and most recently, Laboratory of Chemical Engineering. This year I joined the Laboratory of Biomimetic Engineering, to be part of the project that fits my research interests – “Artificial garlic cell”.